Lymphatic mapping and sentinel node biopsies: not just for melanoma! Comment to “Anatomical study of the breast superficial system: the inframammary fold unit” E. Riggio et al. 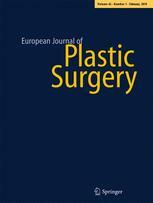 Reply to comment on “Anatomical study of the breast superficial system: the inframammary fold unit” by E Riggio et al.